Usually when you walk into someone bathroom the sink is something normal, that doesn’t get to much attention, but when I saw the wall-mounted glass Waterfall sink from CBD Glass I was left without words. This sink is something really amazing …the design should get a prize or something, at least for the creativity. The wall-mounted glass waterfall sink is an extraordinarily versatile and beautiful architectural element for the way we live today, enhancing the elegance and style of any bathroom. 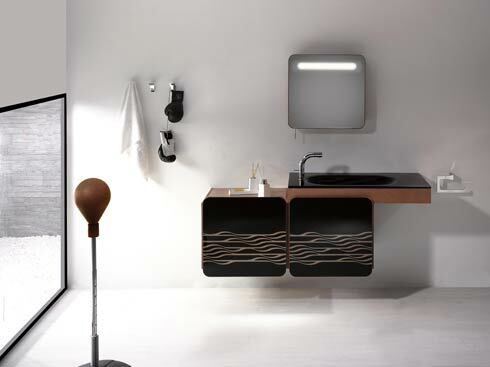 Just stop for a moment and try to imagine how your visitors will look at this sink …is something that you can’t ignore. The Waterfall is available in 60″ or 30″ versions from CBD Glass.